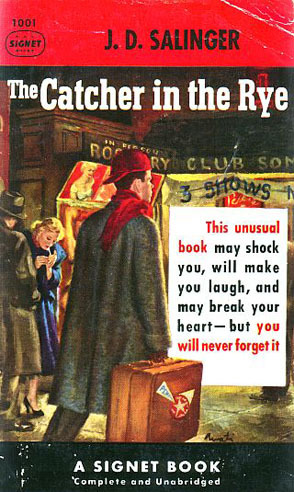 The Catcher in the Rye by J.D. 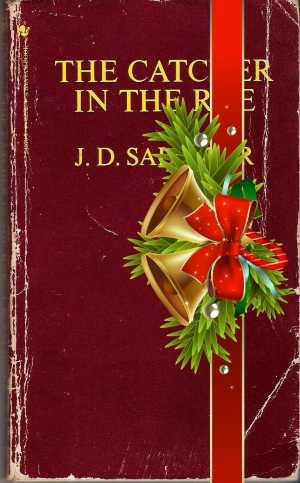 Salinger is about a boy on the Naughty List who leaves his boarding school a few days before his Christmas break is supposed to start, not because he can't wait to see what goodies my dad will leave under his tree -- because, duh, he's on the Naughty List, remember? -- but because he's flunking out, hence his placement on the aforementioned Naughty List. Instead of going home, Holden (that's the boy's name) wanders around New York City for a few days, I guess because he's so Naughty and all. 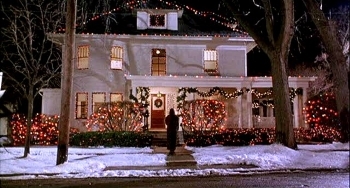 And here's what I don't like about the book: It's Christmastime in New York, but you'd hardly even know it. I mean, at one point he goes to Central Park to give his sister Phoebe an early Christmas present, which was Nice of him and all, but he even says in the narration, "It didn't seem at all like Christmas was coming soon." And I'm like, duh. 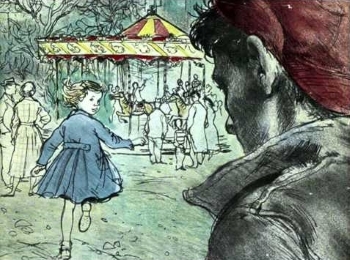 You have to tell us about all the beautiful Christmas decorations Holden sees all the time and not just a little bit at the end, Mr. Salinger. That's the author, Jerry Salinger. He's dead. Daddy says Mr. Salinger was never on the Naughty List himself, but we still have all his Christmas presents here at the North Pole because Daddy could never find out where this guy lived. 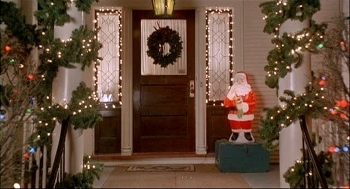 Anyway, I suppose if the he had allowed Hollywood to make a movie out of his book, we'd see the Christmas decorations everywhere and we'd all be calling it a Christmas movie like Die Hard or Gremlins or While You Were Sleeping and everyone would watch it every year at Christmastime. And then Holden would call us all a bunch of phonies, I bet. 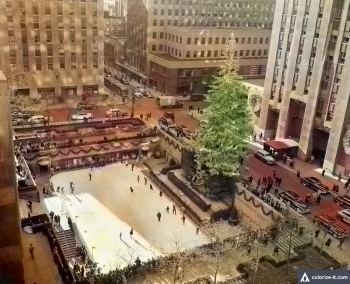 So this Holden character takes this girl Sally Hayes ice skating outside Radio City Music Hall and she invites him to her house to trim her tree -- I think I know what she really means by that but I'm not allowed to say -- but there's not one mention of the ginormous Christmas tree they always have right there where they're skating. And I'm like, hello? This book makes me so mad sometimes! Later the boy goes inside to see the wonderful Christmas Spectacular show without Sally, who ditched him, because, Naughty List, right? And he gives the show a worse review than Scrooge would have! I'm starting to understand why my father wanted this book banned from North Pole High. 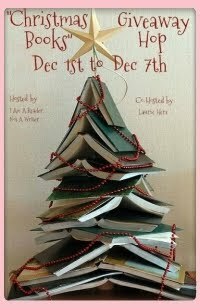 I say, if you want to write a book that takes place during the most wonderful time of the year, then it should be filled with wonder and magic and Christmas trees. I'm not saying I'm a better writer than this J.D. 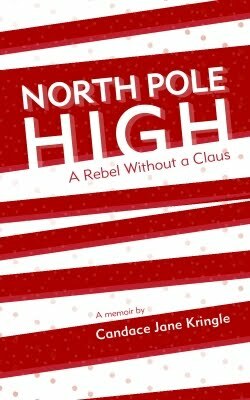 Salinger guy was or anything, but my book, North Pole High: A Rebel Without a Claus, has never been accused of holding back on the Christmas joy. So if you're looking for a Christmas book that isn't afraid to mention Christmas (200 times), reindeer (26 times), and presents (45 times), and is available in both print and (unlike The Catcher in the Rye) Kindle editions, then you know where to look! The following is an essay I wrote for my Christmas History class at North Pole High. My teacher, Mr. Ghost of Christmas Past, gave me a shining star to hang on my Christmas tree for it. 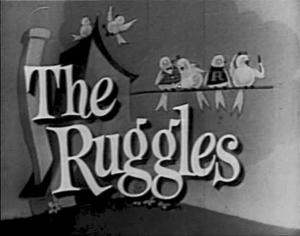 The Ruggles is one of the first television sitcoms in the United States, making their 1949 “Christmas Eve” episode one of the first very special Christmas episodes of a regular TV series. The family-themed show opens with my favorite part: the two youngest children, Donna and Donald, reading their father a letter they’ve written to my father asking for a “real train” for Christmas, and “a couple more boyfriends” for their older sister Sharon. They’ve been good more times than they’ve been bad, they say. 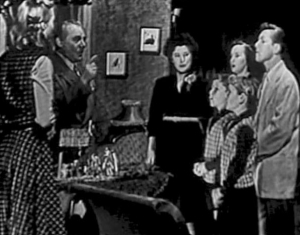 When the mother and older siblings, inspired by the kids’ postscript, decide to give to those less fortunate, the father, who complains every year about having to put up a Christmas tree, scolds them for their unwarranted generosity. Even though he’s the star of the show, he’s what my Christmas Lit teacher would call the "Scrooge" of the story. Every Christmas story has one. 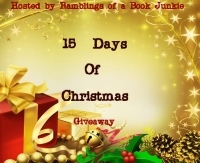 After their Christmas-Eve-morning ritual of reading their Christmas cards out loud over breakfast, the family decides to help Elaine, a less fortunate friend of Sharon’s whose father recently died. But when they tell poor Elaine of their plan to help someone less fortunate, she assumes they came to her for suggestions. Her father must have had a swell life insurance policy, because she doesn’t consider herself less fortunate at all. 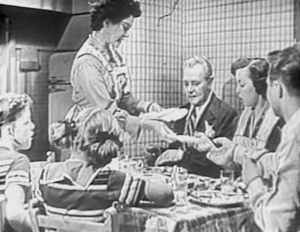 You can find this charming Christmas episode on many Classic Christmas TV compilation DVDs, such as Holiday TV Classics and Rare Christmas TV Classics Volume 1. Is It A Christmas Movie? "While Yule Were Sleeping"
The following is an essay I wrote for my Christmas Lit class at North Pole High in the North Pole. My teacher, Mrs. Polar Bear, gave me an A+. 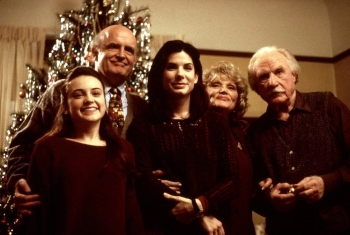 From 1995, While You Were Sleeping stars Sandra Bullock as Lucy, a lonely woman who falls in love with a man in a coma. This charming romantic comedy is set in Chicago, a great place to spend Christmas because they have lots of snow and they make their cocoa with Frango mints! 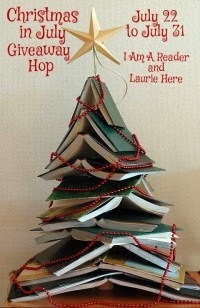 Before Lucy meets Coma Boy, she's struggling to get the Christmas tree she just bought into her apartment. It's so big, she has to hoist it up through her window on a rope. But it's so heavy, she drops it and it breaks the window of the apartment below her. Won't Coma Boy be lucky to get a girl who puts that much effort into Christmas! Lucy's other problem is that besides her hunk being in a coma, she's never actually met him. But while he's asleep, she does meet his family. And since it's Christmastime, she gets to experience the warmth and joy of spending the holidays with a loving family, something she's missed since her parents died. So now, instead of just having a crush on a hot dude in a coma, she's in love with the idea of becoming a part of his family. All because of Christmas. I don't want to spoil anything for you, but I think the message is that Christmas makes everything bright and wonderful. And for that, I hang five shining stars upon While You Were Sleeping! Click here to watch While You Were Sleeping online. Click here to buy While You Were Sleeping on DVD. Click here to buy While You Were Sleeping on Blu-ray. I have some FANTASTIC news: North Pole High: The Musical was selected as a semi-finalist in the Battle of the Christmas Musicals at the Brookfield Theatre for the Arts in Brookfield, Connecticut! I am so proud of the writers -- Rafi Nemes, Kristen Rea, and Danny Hercules -- for this early recognition they have received for their work-in-progress musical based on my memoir, North Pole High: A Rebel Without a Claus. Congratulations! And keep up the great work! North Pole High didn't advance to the finalist round, but everyone here at the Top of the World is happy anyway because who knew there were so many new Christmas musicals being written? You can never have enough Christmas musicals! 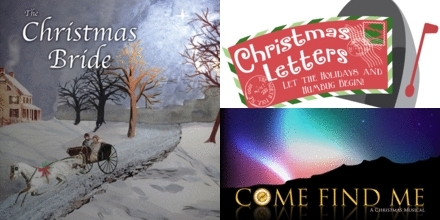 Congratulations to the writers of The Christmas Bride, Christmas Letters, and Come Find Me. 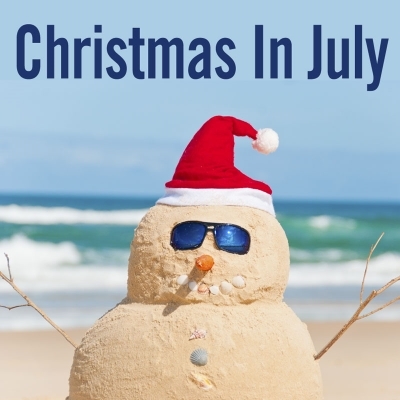 I want to urge all my New England fans to head to Brookfield, Connecticut to celebrate Christmas in July! 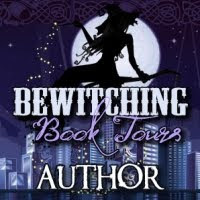 Yule get to see 45-minute excerpts from each of the three finalists and yule get to meet the writers. AND yule get to vote for your favorite. The winning show will get a full-length staged reading in December. But the best reason to attend this event on Saturday, July 1, from 7:00 PM to 10:15 PM is because yule get to celebrate Christmas six months early!!!!!! Because when you think about it, December is just too far away to hold onto your Christmas cheer. Good luck to all three finalists, and have a Merry July!